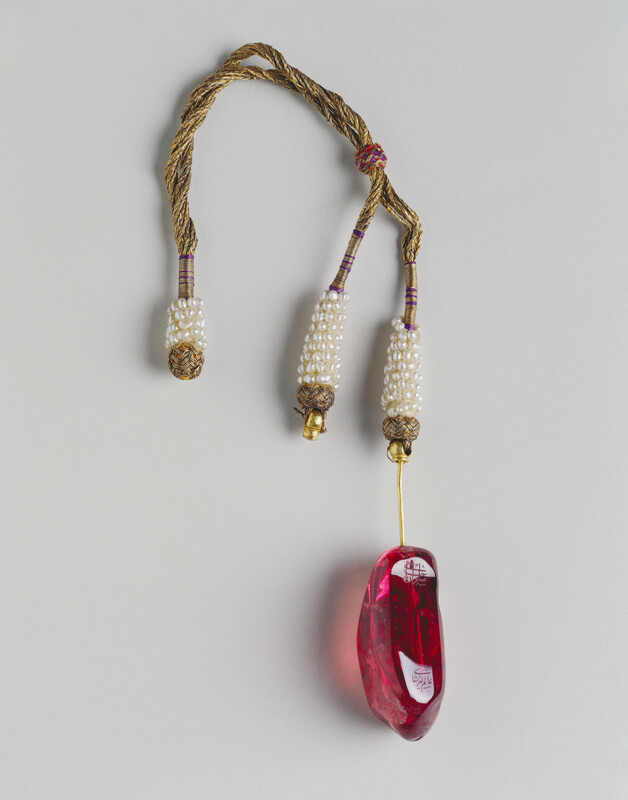 Imperial Mughal spinel, attached by gold wires to a gold embroidered bead below a cone of seed pearls on twisted gold thread, another cone of seed pearls attached to the thread, held together by a third cone of seed pearls. 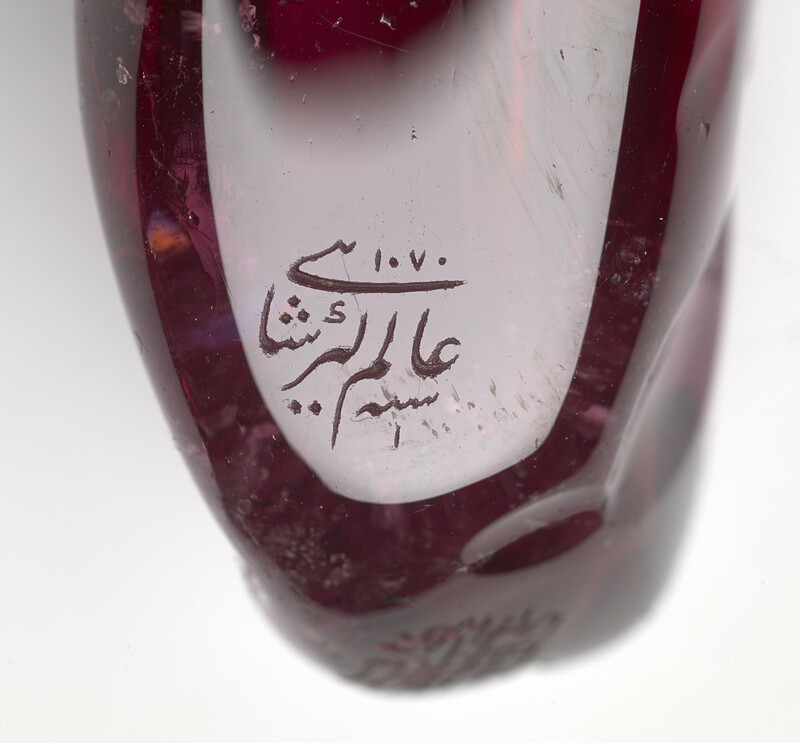 The spinel is inscribed in Persian with the names of its previous owners, the Mughal Emperors Jahangir (r.1605-27), Shah Jahan (r.1628-58) and Awrangzeb (r.1658-1707). 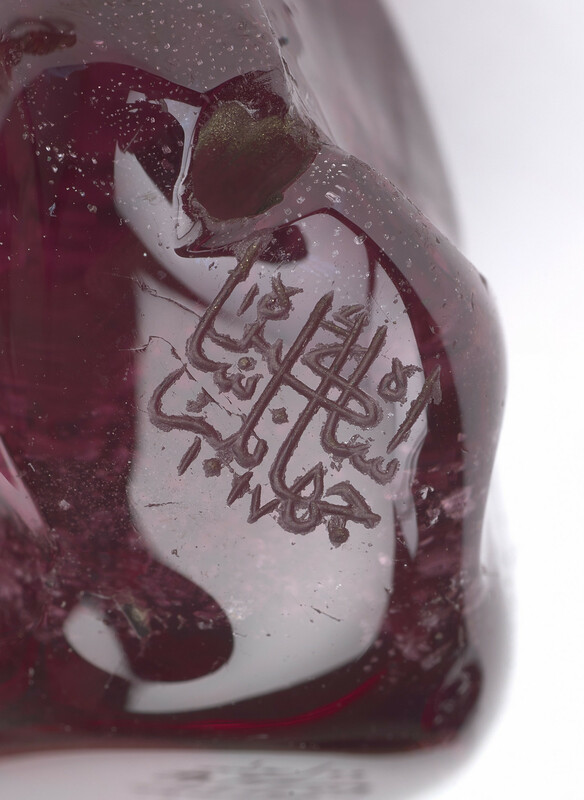 The spinel was taken by the Sikhs in 1763 when they defeated Zain Khan of Sirhind and divided his treasury between them. 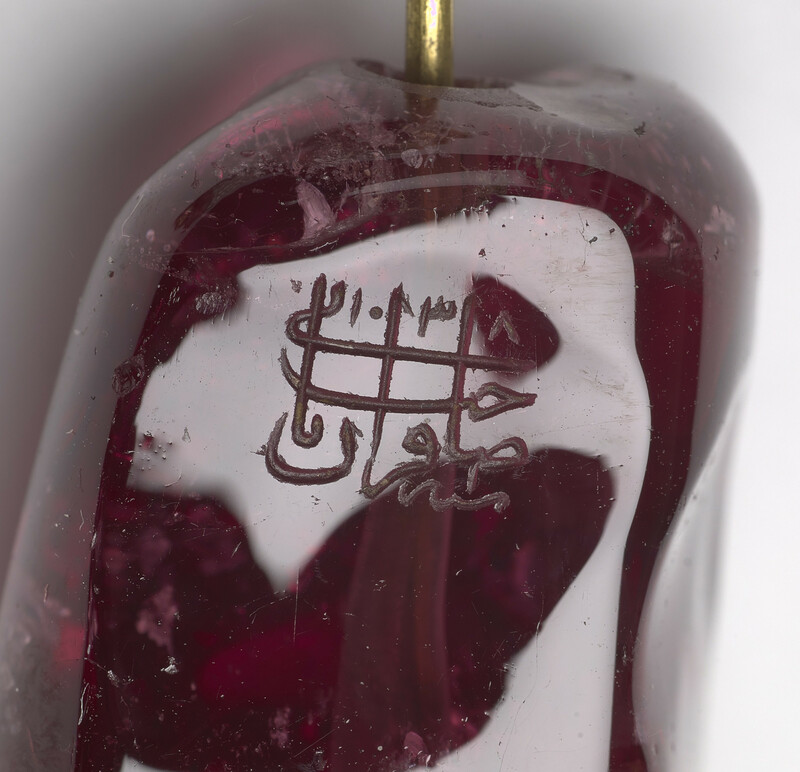 It came into the possession of Raja Hamir Singh of Nabha and remained in Nabha until 1901 when Raja (later Maharaja) Sir Hira Singh of Nabha presented it to Edward VII.